NextGen Healthcare Inc. (NASDAQ:NXGN), the leading provider of ambulatory-focused healthcare technology solutions, hosted the inaugural NextGen Leaders in Healthcare Summit November 29–December 1, offering a think tank-like environment for creative, forward-thinking working sessions to exchange ideas and explore the evolution of care delivery in the US. 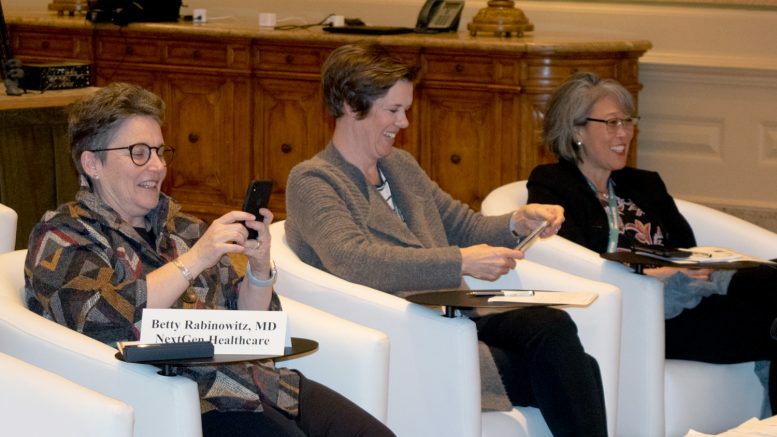 Seventeen healthcare thought leaders from across the US participated, with representation from physicians as well as corporate leaders, from organizations such as Capital Women’s Care, CareMount, Desert Oasis, Texas Healthcare (Privia) and Ortho Tennessee. Summit participants represented all aspects of the ambulatory healthcare market, including federally qualified health centers and single specialty groups including behavioral and addiction health, a burgeoning field. Summit discussion topics included heterogeneous care delivery systems, risk- based incentives, and the technology that will be needed to meet healthcare needs in the future.